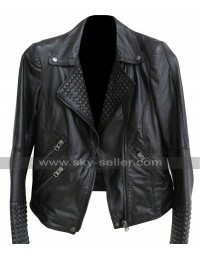 If you want to look as appealing and as gorgeous as pop singer Britney Spears, then try this black Leather Jacket with your outfit. This spike and studs covered black leather jacket worn by “Britney Spears” in her music video “Till The World Ends” and she looks stunning. 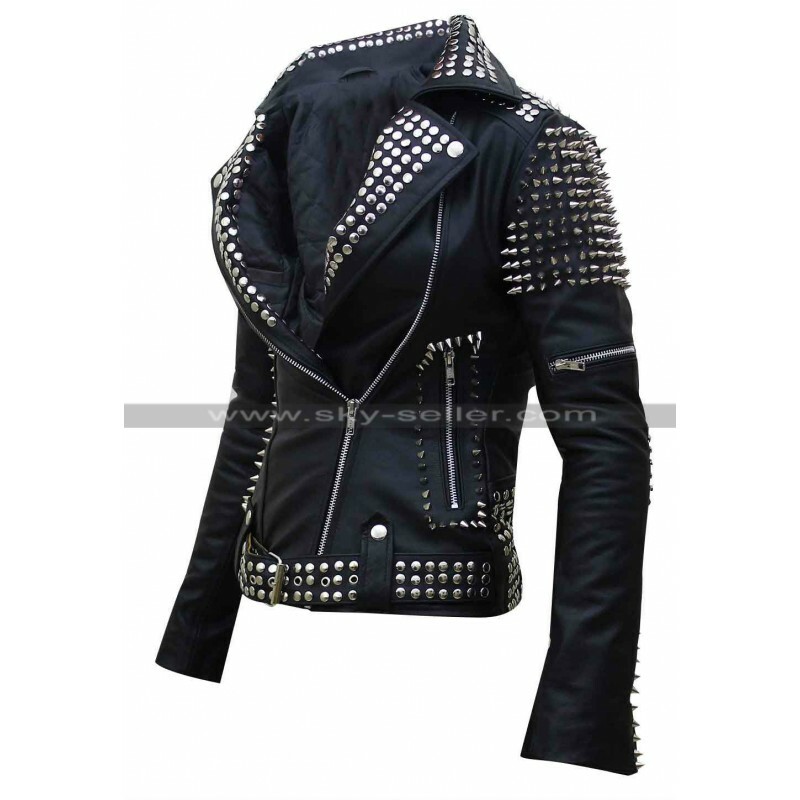 The jacket is made for an intense eye catching look, a look never seen before. 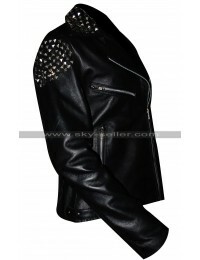 This stunning Britney Spears Jacket is made from great quality of supreme leather material. 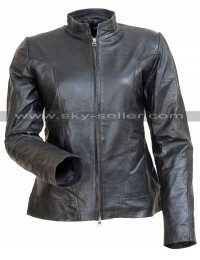 The inside is made from satin fabric lining. 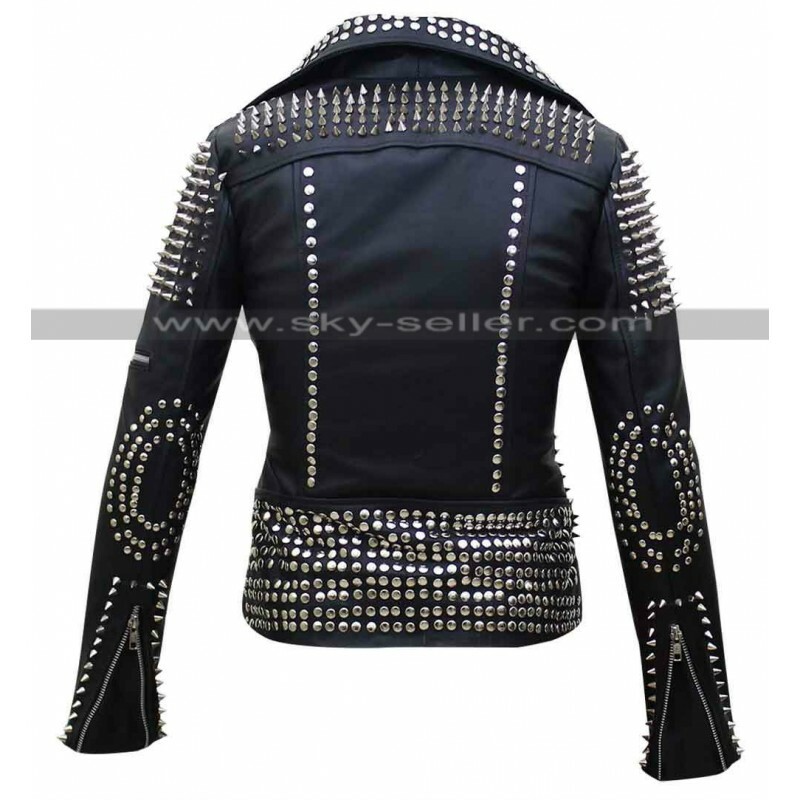 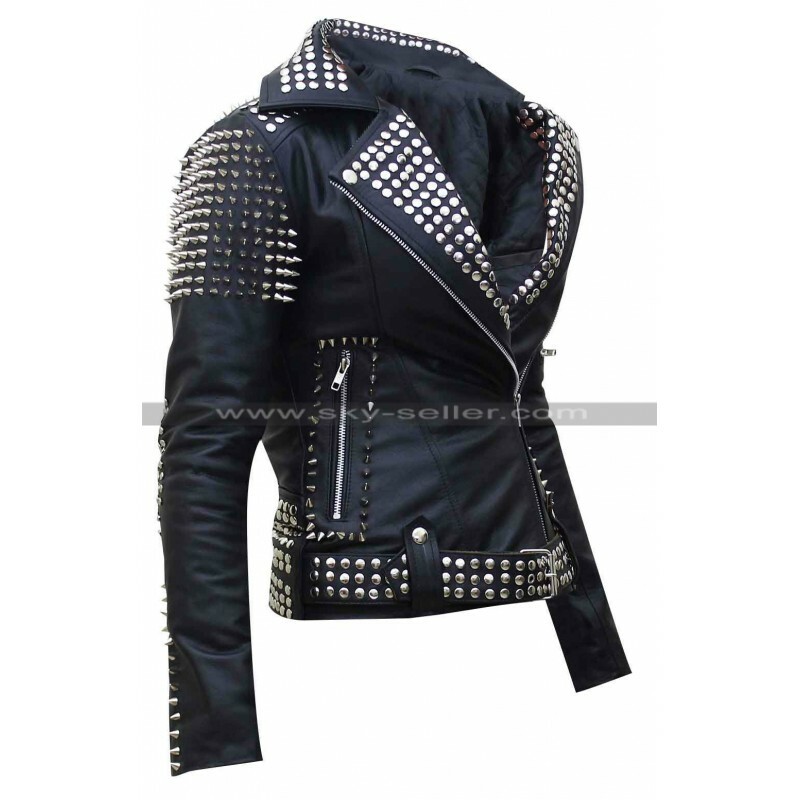 The main feature of the jacket has thoroughly placed silver metal spikes and nails. 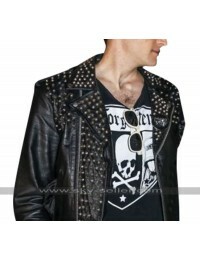 These metal embellishments are 100% lead and nickel free. 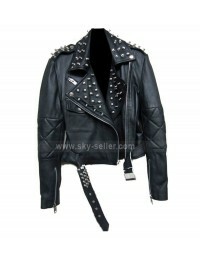 It is a slim fit jacket with bottom buckle adjusted leather belt for a perfect fit. 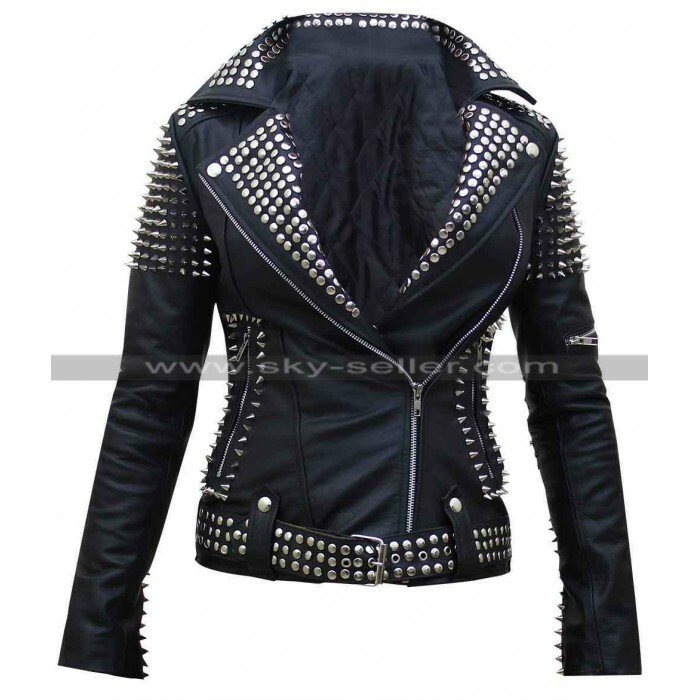 A must buy product for young ladies.